Anyone in the market for a house generally likes to find a motivated seller because it usually makes things so much easier. But there’s still a good amount of strategy involved, especially when it comes to what transpires in the initial stages. So it’s important to know (among other things) these 3 critical questions to ask a motivated seller on the first call. What is your asking price, and how did you arrive at it? Asking about the asking price may seem painfully obvious, but it’s a good starting point and a lead-in to other important questions. Many times, the seller’s asking price is pretty inflated, but that really doesn’t matter because it’s just an asking price. The seller actually expects to get less. More important than the actual price is how the seller arrived at that price. This can often give you some insight into the motivation for selling and the degree of motivation. You can find out whether a realtor actually pulled comps for the seller or whether she just looked at the prices of a couple of other houses in the neighborhood. You may even discover that the seller desperately needs to sell for a certain amount in order to accomplish something else like, say, pay a divorce attorney and pay off debt. And this knowledge will give you an enormous amount of negotiating leverage. 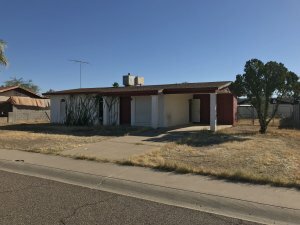 What is your reason(s) for selling this house? Now it’s true that sometimes a seller wants to unload a property for personal, emotional, or career reasons – for example, divorce, death in the family, or job relocation. But there are often other reasons that can work to your advantage. Maybe the seller has become unemployed and can no longer afford to make the mortgage payments. Or maybe the seller has already fallen behind on payments and is facing foreclosure. These are uncomfortable situations for the seller, so be sure to ask the question with some sensitivity and tact. Suppose, then, after asking the motivated seller why she wants to sell the house, you find out that foreclosure is imminent and a short sale is on the horizon. In this case, you want to come across as the compassionate buyer who wants to help the seller out. This then gives you the perfect opportunity to find out what is still owed on the property, as well as a good idea of what the short-sale price is likely to be. What is the least you would take if I make a cash offer to buy as-is? It’s an old strategy often recommended for dealing with a pushy car salesman. You go through all the rigamarole, and then say, “But how much if I offer cash right now, right here on the spot?” That allows you to find out what the real lowest price is. That’s why it’s also one of the critical questions to ask a motivated seller on the first call. If you ask a motivated seller about a cash as-is offer, you’ll see how fast (and often how drastically) he will reduce the price. Just remember to remain silent after you ask the question to give the seller time to think. Even if the silence makes you uncomfortable, keep at it and don’t feel obligated to make any comments. That silence is a powerful tool to make the seller answer your question – the question that will allow you find out what the absolute bottom dollar is. Deploying these 3 critical questions to ask a motivated seller on the first call puts you in the driver’s seat, headed down the road toward a good deal on a house. Still, there’s more to it – the actual negotiations and closing the deal, for instance. 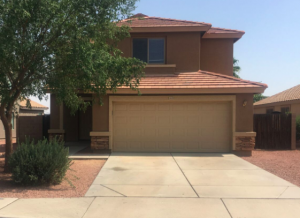 IF YOU’D LIKE TO DISCOVER MORE ABOUT DEALING WITH MOTIVATED SELLERS, GIVE US A CALL AT (602) 900-9327 OR FILL OUT THE FORM.